New shop online! 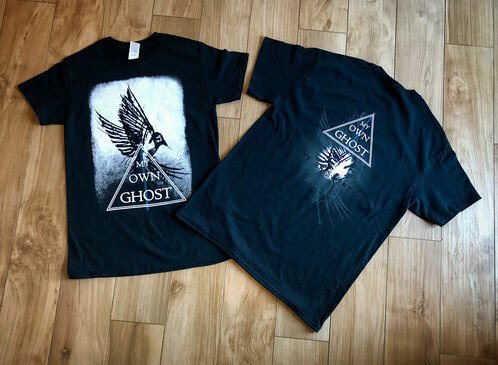 Have a look at our new T-Shirt! The bird represents to us the power to break free at your own will and also to have the strength to confront and overcome your fears and limitations everyday anew. Don't miss out on our other stuff like CD's, Girlies, Hoodies and Beanies! 4 days to go! 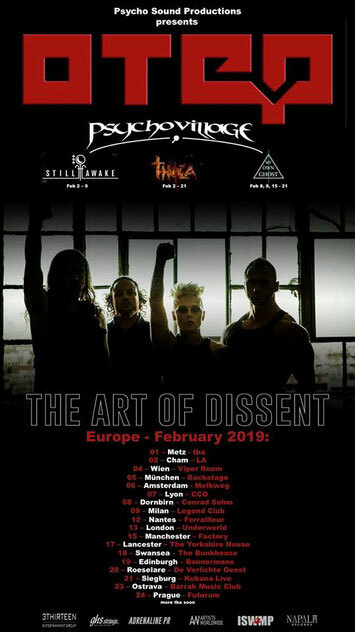 We will support Otep from the US on 8 shows of their Art of Dissent Tour! 2018 has been a crazy and eventful year for us! During 47 shows we got to promote our second album ‘Life On Standby’ throughout Germany, Spain, Luxembourg, Belgium, Austria, France, the Czech Republic, the UK and the Netherlands! We are now looking forward to 2019 and can‘t wait for the tour with Otep in February to start! Meanwhile, we have also started working on our third album! 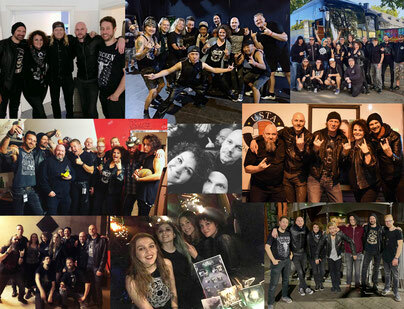 Big thanks to all of you for your constant support and we hope to meet you guys again in 2019! Happy New Year to all of you! 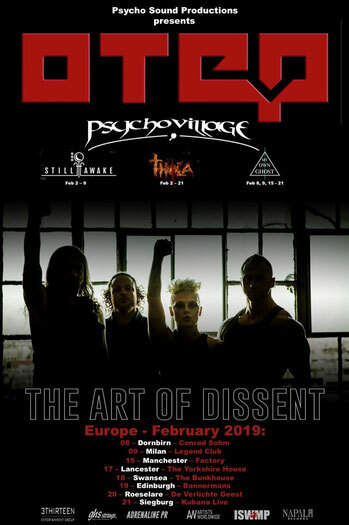 We are thrilled to end the year with great news as we will support Otep from the US on 9 shows of their Art of Dissent Tour in February 2019 together with our good friends from Psycho Village! We would love to see some of you out there on the road in Austria, Italy, Belgium, as also Germany and we are especially looking forward to seeing some good friends in the UK! 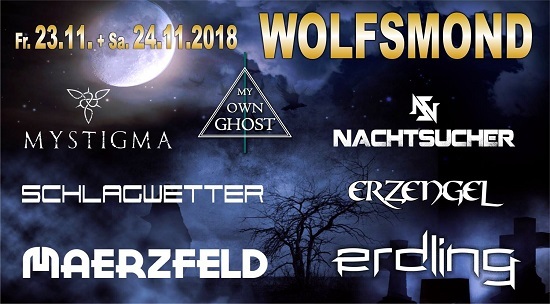 Next up: Wolfsmond Festival at the KuBa-Halle in Wolfenbüttel (DE)! 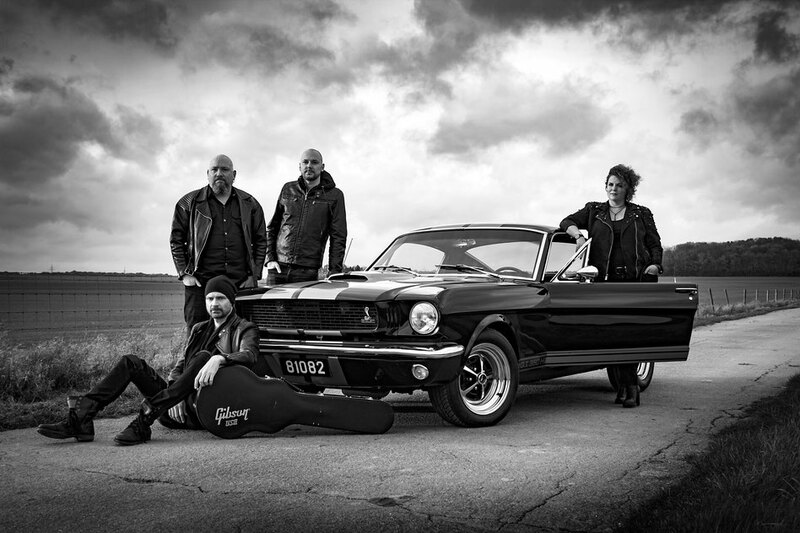 Don’t miss this party with Bonfire & Friends at the Garage in Saarbrücken on November 12th, 2018! 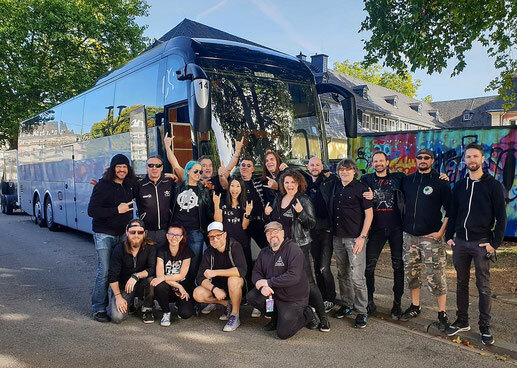 Joining the party are legends such as Joe Lynn Turner, Geoff Tate, Robin Beck, James Christian, Bobby Kimball and of course Bonfire themselves! Last minute show added! We are excited to team up for one more great night of music with Puddle Of Mudd tonight at Kammgarn in Kaiserslautern! After three and a half weeks and more than 9000 km on the road, we are back home and more than thankful for this amazing experience and crazy ride! We want to thank the lovely And Then She Came for having us on their Kaosystematiq Tour! 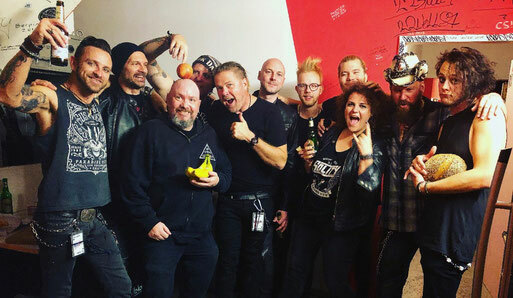 Thanks also to all the other bands we had the honour to share the stage with, the awesome Saving Abel, Puddle Of Mudd, Psycho Village, Grey Attack and Alwaid, it was a pleasure for us! Big thanks also to our soundtech Julian Lambertz, Michael Schoemer and Twiggy for filling in on drums, as well as Poli for his precious help! And as always, big thanks to Red Lion Music for making all of this possible! What a crazy bunch of people! We loved every second of this tour with our southern brothers from Mississippi, the amazing Saving Abel! Thank you for having us on this ride, have a safe trip back home and we will meet again! Big thanks also to Psycho Village for the organization and to Red Lion Music for their great work and support. 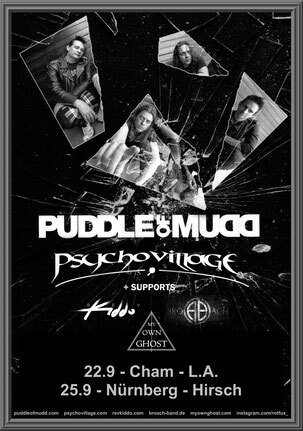 Next up: we will support Puddle of Mudd at the L.A. Live Style Café in Cham! More good news! 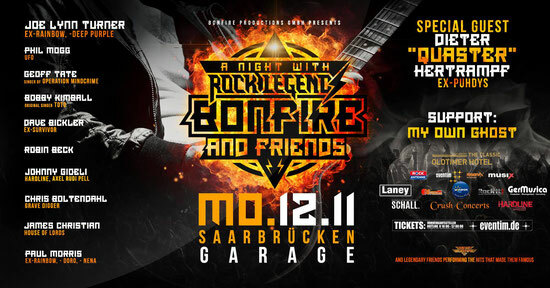 We are proud to announce that we will support Bonfire and Friends at the Garage in Saarbrücken on November 12th, 2018! 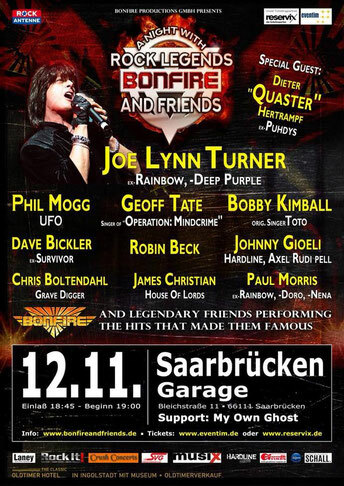 It is a great honour for us to share the stage with legends such as Joe Lynn Turner, Geoff Tate, Robin Beck, James Christian, Bobby Kimball and of course german Hardrock legends Bonfire themselves! Do not miss this rock n'roll party! If you want to be part of it, you can get your tickets for the special price of 40€ by contacting us via PM! 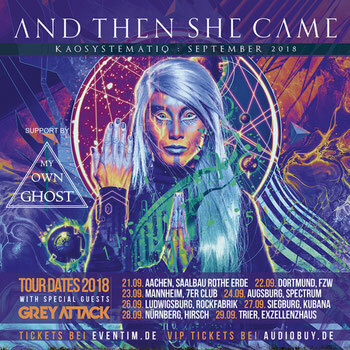 It is with great pleasure that we can announce that we will be supporting And Then She Came on their Kaosystematiq Tour! 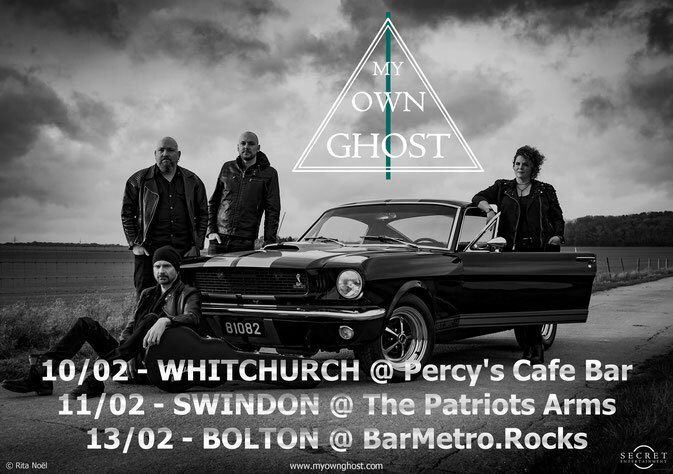 We are looking forward to seeing you guys at one or more of the following shows and you can get your tickets by contacting us via PM! 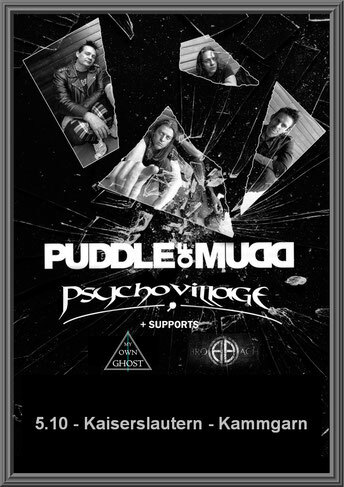 Excited to have the opportunity to support Puddle Of Mudd on 2 shows of their European Tour! See you at the L.A. in Cham and at the Hirsch in Nürnberg! After two weeks on the road and having had the opportunity to share the stage with amazing musicians such as Akira Takasaki, Minoru Niihara, Masayoshi Yamashita and Ryuichi Nishida from Loudness, as well as Robin Beck, Jimi Bell, James Christian, Jorge Salan and BJ Zampa, we are now back home for a short break. 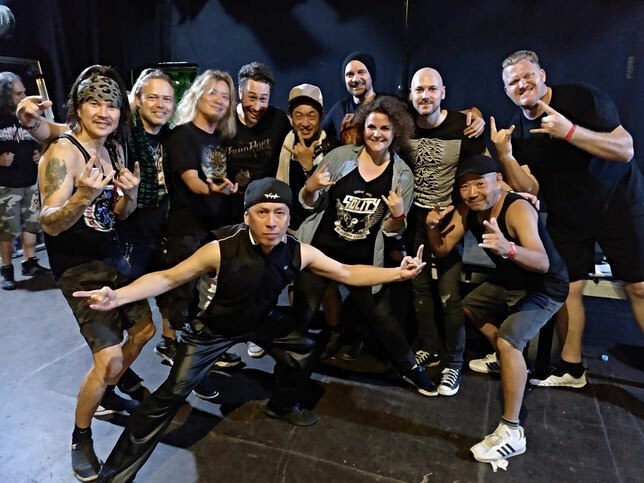 We want to thank Michael Schoemer for filling in on drums, our soundtech Christian Eggers, Poli for his help, Danny Christen and Kazuo Sumida from the Loudness crew, Red Lion Music for putting their faith in us, Captured Live for their perfect service and of course everyone who came out to support us. We can’t wait to hit the road again in September! New show confirmed! 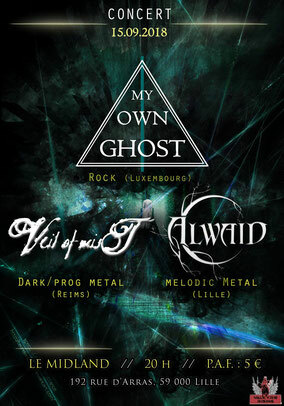 We will join Alwaid and Veil Of Mist from France on the 15th September 2018 at Le Midland in Lille! More good news! 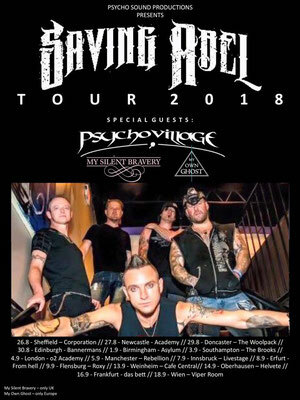 We will hit the road again in September as support for Saving Abel from the US on their European Tour! 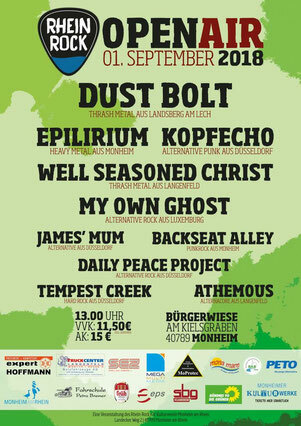 We are happy to be part of this year’s Rhein-Rock Open Air Festival on the 1st September in Monheim am Rhein with a lot of cool bands! We have really great memories from last year’s show with Serious Black and Herman Frank and we are looking forward to seeing some of you again! Busy summer ahead! 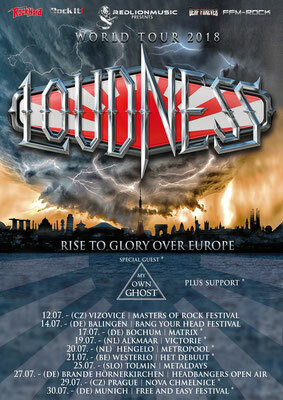 In 2 weeks we will join our friends from Loudness as special guest on their 'Rise to Glory over Europe Tour'! 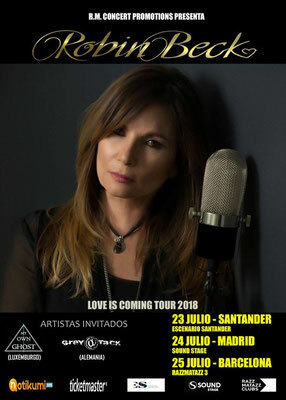 We will also head to Spain to support Robin Beck on her 'Love Is Coming Tour'! We are looking forward to share the stage with these great artists! More cool stuff to be announced in the coming days! 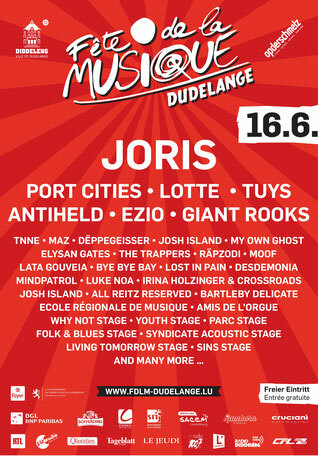 Next up: Fête de la Musique in Dudelange (LU)! We are proud to announce that we will be main support for Robin Beck on her 'Love Is Coming Tour 2018' in Spain! We are looking forward to join one of the greatest voices in rock music! We are more than excited to announce that we will join our friends from Loudness as special guest on their Rise to Glory over Europe Tour in July! It is already the third time that we are invited to tour with this legendary band from Japan and it's always a great honor for us! 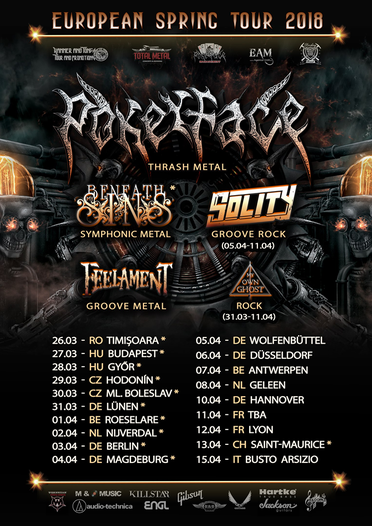 3 days to go and we will be back on the road for 12 shows across Germany, Belgium and the Netherlands supporting Pokerface from Russia on their European Spring Tour 2018 together with Beneath My Sins, Solity and Feelament! Here is another song from 'Life On Standby' for you! Please enjoy our new lyric video for 'Don't Say You Love Me'! Direction, Edit & Post Production by Manic Molecule! First show in Luxembourg since June 2017! Join us, Phantom Elite and Beneath My Sins at the Mix N'Kawa Bar in Belval for a great night of music! 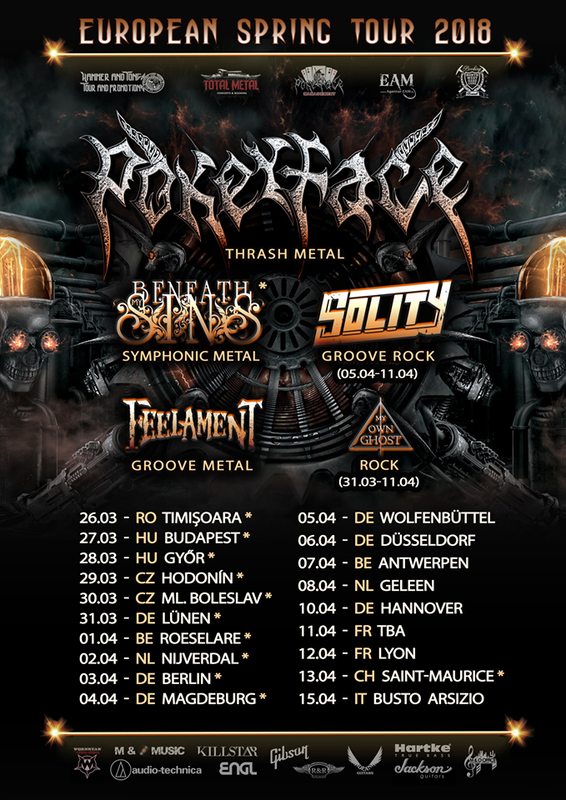 We are happy to announce that we will support Pokerface from Russia on their European Spring Tour 2018 together with Beneath My Sins, Solity and Feelament! Please enjoy our new video for 'Hope'! You can download our album 'Life On Standby' on all digital music platforms! Video by Maanlander! Filmed & edited by Jeroen Mylle & Fabrice Parent! With Deborah Knowles & Francis Majerus! And with Shiva & Inka-Queeny of Choise DeLux! First shows in 2018! Back in the UK and looking forward to visiting some good friends!